A former top IRA man has branded Gerry Adams a "mendacious, lying b*****d" while praising Martin McGuinness as "a natural leader whom everybody respected". But Kieran Conway, who was director of intelligence on the IRA's GHQ (General Headquarters) staff accused both men of "selling out republican goals and implementing British rule". And, in an interview with Sunday Life, he said the peace deal for which the Provos settled "wasn't worth a drop of anybody's blood". In his explosive new book, 'Southside Provisional', Conway- who is now a Dublin solicitor – gives an insiders' account of life in the IRA and the leadership figures with whom he rubbed shoulders. He saw Gerry Adams as a cold, detached personality: "He was someone to whom I never warmed. If you were stuck in a room with him, he tended to flick through a newspaper rather than chat to you. "Almost single-handedly, he pulled the movement in a certain direction by telling a lot of lies. It's clear now that the path he followed was a sell-out of republican ideals." Conway – a law student from a middle-class Dublin family – dropped out of college to join the IRA in 1970. He left in 1975 but rejoined after the H-Block hunger-strike, remaining active until 1993. As well as heading the IRA's intelligence department, he carried out armed robberies in Britain, and ran training camps in the use of firearms and explosives. 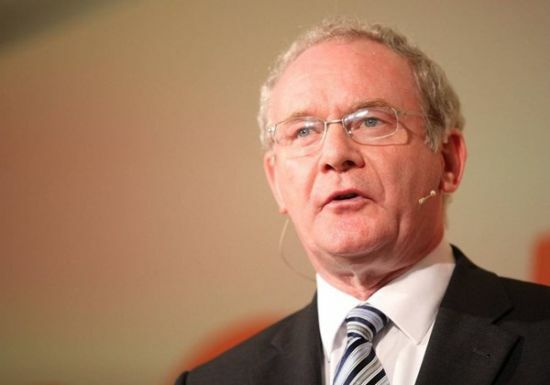 He also engaged in paramilitary activity along the border and in Derry where he first met Martin McGuinness. "Martin was a natural leader, a very impressive individual who cut a striking figure. I respected him hugely and looked up to him, everybody did," Conway said. "There was a prissiness about Martin – he wasn't the sort you'd tell a dirty joke to – but I liked that. He kept a beady eye on our behaviour. "He insisted on absolute politeness when we were mounting (IRA) roadblocks. We were under strict instructions to always say 'please' and 'thank you'." Conway wasn't impressed with Provisional IRA founder member and former chief-of-staff, Joe Cahill. "He couldn't make a decision to save his life. He was tight-fisted with the IRA's money to the point where it endangered volunteers' safety. "I viewed Joe Cahill as a place seeker and a yes man who held onto power and prestige so long by always voting with the majority. "In the 1980s and 90s as other veterans died, or followed Republican Sinn Féin, he became a virtual mascot behind whom the leadership could take cover before the older generation and Irish-America." Conway served three years' imprisonment for arms' possession. In Crumlin Road jail, he knew Denis Donaldson, the Sinn Féin official turned spy who was shot dead in 2006. "I liked Denis. In jail, he was on the extreme left of the republican movement like myself. I was greatly surprised when he was outed as a British agent. The word in republican circles was that he'd been blackmailed over sexual misbehaviour." Conway said the Crumlin Road regime was remarkably relaxed with inmates making hooch and drinking smuggled vodka. The situation got so out of control that Billy McKee, the IRA's prison commander, banned alcohol "after a couple of men were so drunk at our weekly film that they asked the screws to call them a taxi". On another occasion, McKee – a devout Catholic – had to prohibit Ouija boards and bring in a priest to "decontaminate" cells where prisoners had used them. "The game was judged a security risk because some prisoners were 'communicating' with dead soldiers who were supposedly naming other prisoners as their killers," Conway said. As a member of IRA "staff" in Long Kesh, Conway held meetings with the UVF's Gusty Spence and the UDA's Jim Craig. "I found Spence a pompous bigmouth. I despised his grandiose style. He called himself 'General Spence' and created dramatic situations, upping the ante, before capitulating meek as a lamb. "I don't understand why the media or loyalists held him up as deep thinker. I'd much more time for Jim Craig. He was a wide boy who used his fists but he was likeable with none of Gusty's pretensions." Conway left the IRA in December 1993 after Gerry Adams told republicans they could work with the Downing Street Declaration. "That declaration, the Good Friday Agreement, and the Stormont power-sharing executive – they're not what people killed and died for," Conway said. "I'm deeply disappointed that Martin McGuinness is Deputy First Minister, helping administer British rule."